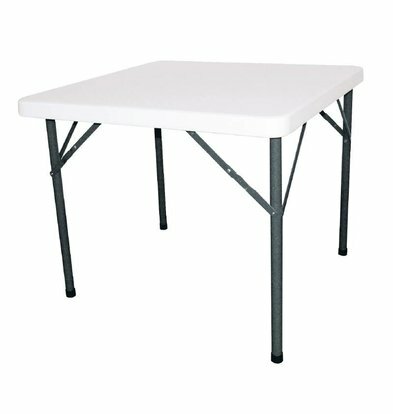 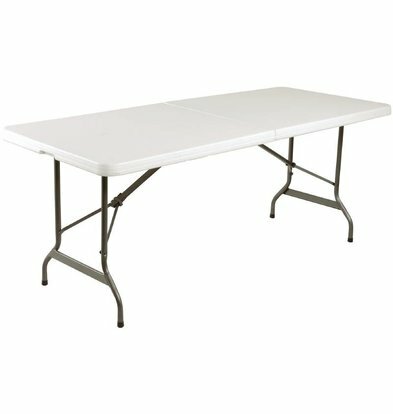 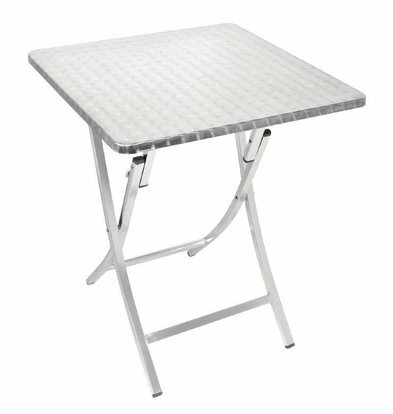 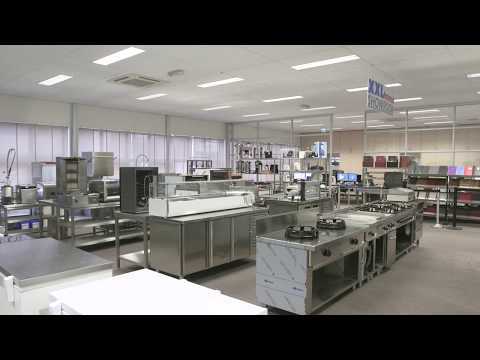 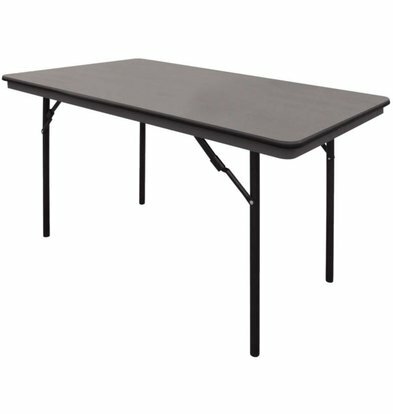 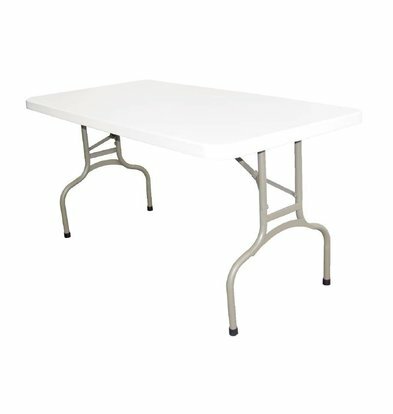 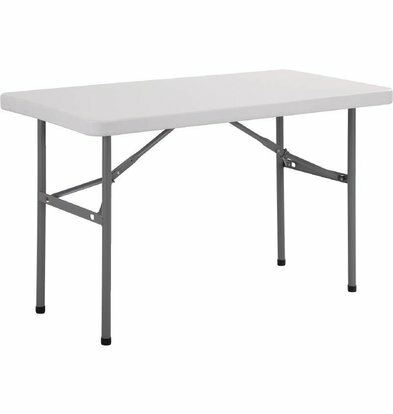 Folding tables and folding tables to buy online at XXLhoreca? 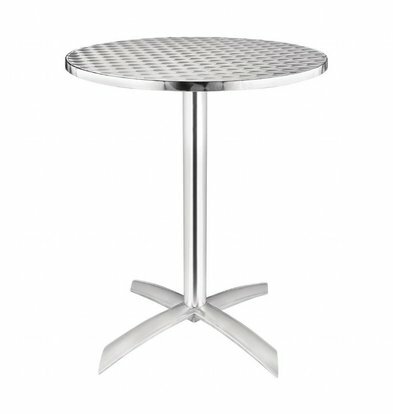 As entrepreneur or private person still looking for beautifully designed and functional inklaptafels for indoor or outdoor? 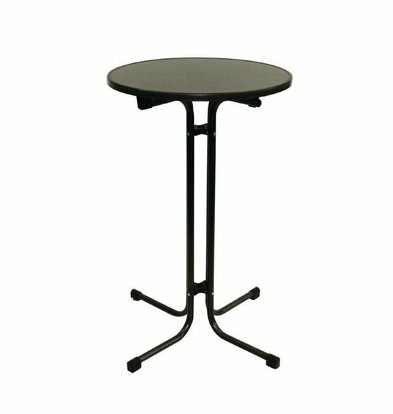 The folding tables XXLhoreca are available in multiple colors and shapes. 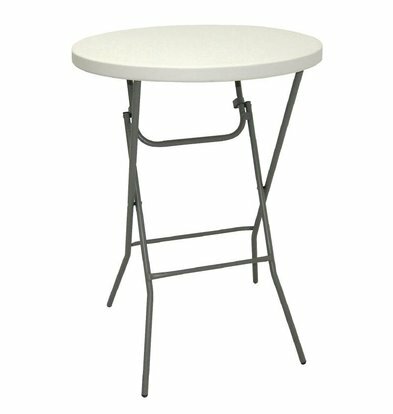 This handy furniture allows you to quickly clean up your patio or room and you do not have too much space needed to store tables. 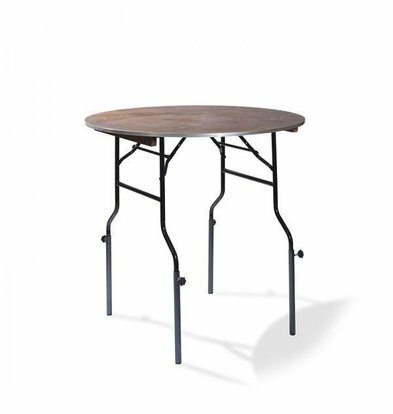 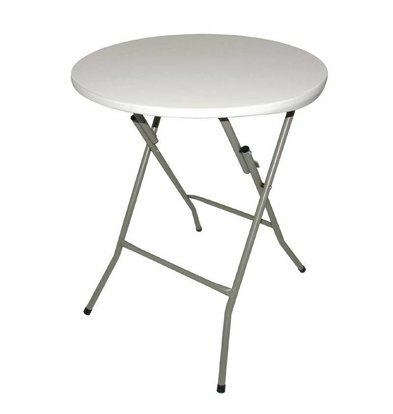 All our in folding tables are made of durable materials so that corrosion has no chance. 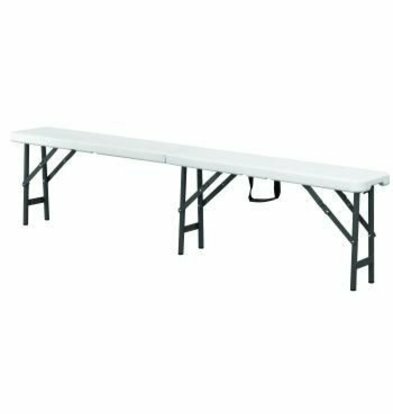 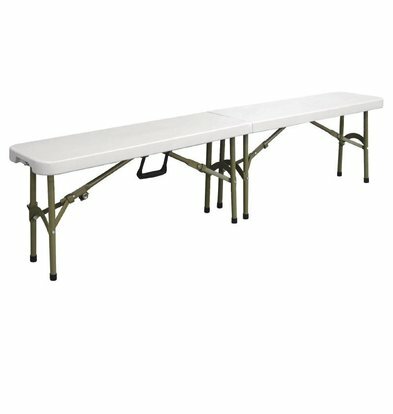 See all our folding tables and make your choice. 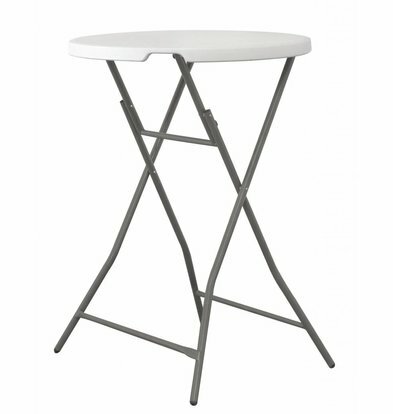 For example, a folding standing table of Bartscher has a handy removable bath and is easy to dismantle and transport. 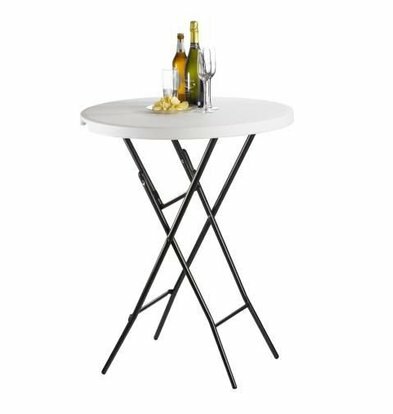 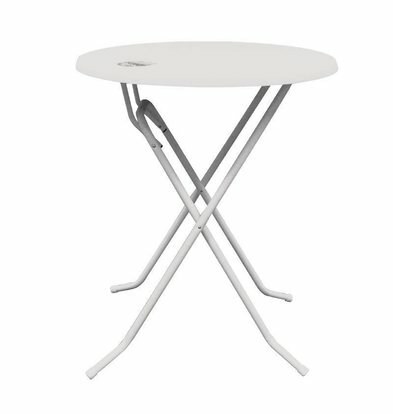 The beautiful chrome frame makes this folding table both chic and durable. 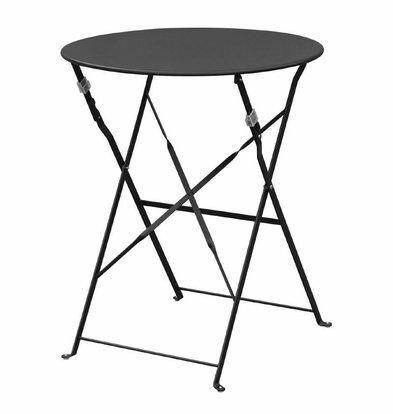 This folding patio furniture is to use naturally as folding side table or striking coaster for flower arrangements. 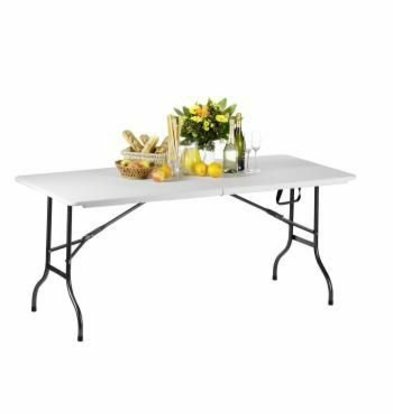 Even better, you can cover the standing table with a cover so that the whole gets more elegance. 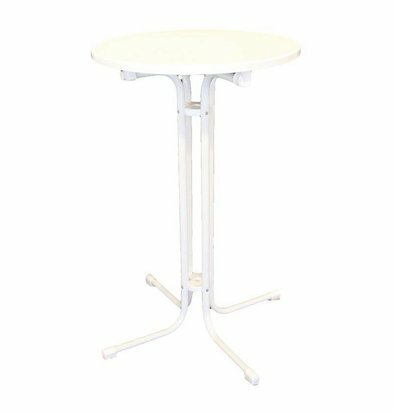 At XXLhoreca course you can also order complete folding table-bench combination, provide a strong steel frame and suitable for banquets and parties. 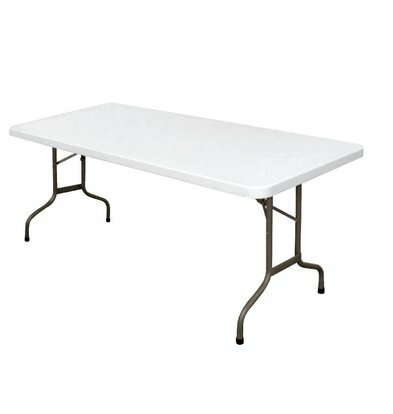 All our inklaptafels be a minimum 1 year warranty and are usually delivered within 72 hours. 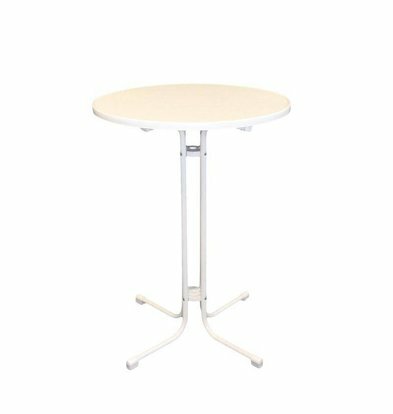 Besides well-known brands such as table Bartscher and very striking colored tables Bolero, XXLhoreca also features elongated drop down trays of Saro. 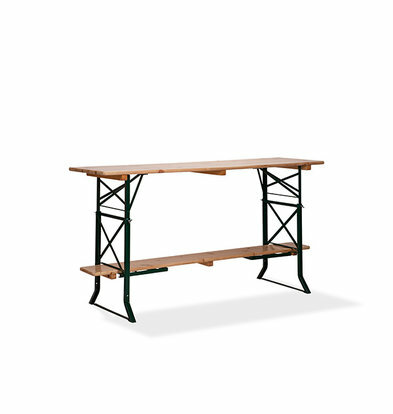 Statafel collapsible - 110 (h) x80øcm - up to 170 kg Carrying weight!